Nintendo has not been concealing its desires to experiment with free-to-play and smartphone-inspired titles as of late. If the company truly is committed to exploring this route, they are almost assuredly keeping tabs on the attention that The Denpa Men RPG Free! has been receiving in Japan. Developer Genius Sonority announced that the fourth installment of the quirky RPG series has been downloaded more than 1.8 million times off the Nintendo 3DS eShop. While the first three games in The Denpa Men series were released both inside and outside Japan as retail downloads off the eShop, the newest takes the form of a free-to-play title with in-game purchases. 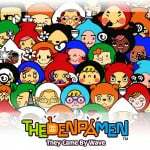 According to Siliconera, The Denpa Men RPG Free! 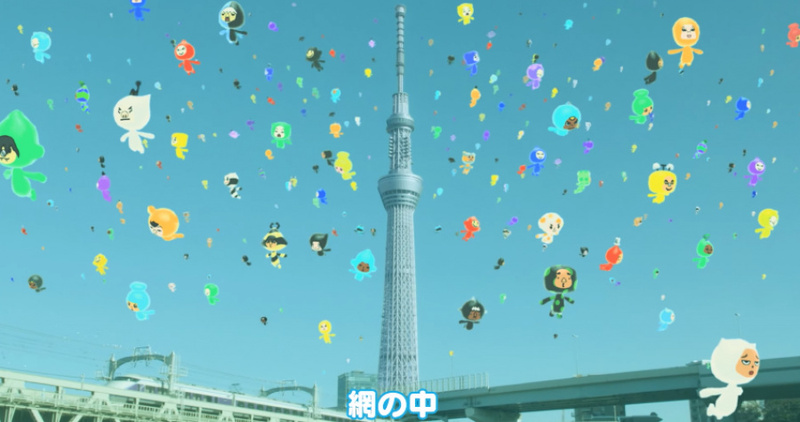 hit 1 million downloads in October, three months following its July release in Japan. The game's momentum does not seem to be waning much with another 800,000 downloads since then, and updates continue to be released for the title. Would you like to see this version of The Denpa Men on western shores? We humbly submit the following video of promotional cuteness to aid your decision. I never bought one of the games but the demo's were very fun and charming. I would absolutely download this. I should really buy one of the game in the mean time. 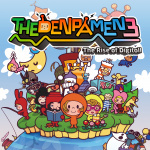 And the Denpamen RPG is not released in North America Europe yet.......WHY? Let's go! Its one of the best series on 3DS. I never streetpassed anyone ever with 1, 2 or 3. Not that this made it a bad game, but I prob won't get the 4th. Played most of one, bought 2, and got the demo for 3. I really wanted to get into this but time has never been on my side. Too many games and not enough time and it doesn't seem that will change one bit this year. Only ever bought the first and never got too deeply into it. I really need to get around to buying Denpa Men 3 since I enjoyed the second game but felt it could use more polish. I hear the third one has that so when I have cleared out my backlog I may pick it up! I agree i think it was good, then again people don't like me cause i like Chao. but i thought it was good, playing the demo's. I have played the demos, and I'm willing to buy one, but having them coming out one very close to the other left me wondering which one to get. Also, they could use a sale sometime (about 20% sounds right to me). Would love to see this and the Half-free version of Bravely Default come over. Denpa Men is one of those series that just costs too much for me to get into, when I have other games I can try out for less money. A free to play version might even entice me to go back and buy 1-3, so I hope it arrives over here! Personally, I have never been interested in the Denpa Men series. Perhaps if I got all games for $10 or less, than I would probably buy them. Counting downloads of a "free" game, demo, video, theme, whatever, just doesn't mean all that much to me. I'd guess they wait to see if anybody actually spends any money on it for in game purchases before they decide if it's worth it to bring it west. PADZ and Mario are finally coming west in a 2 pack so it's possible, And I've been waiting awhile for Wonder Flick. And Yokai Watch still hasnt come west despite making mucho dinero. Who knows? I had heard the title Denpa Men but I never dug deeper as to what it was about. A free-to-play 3DS version of the series would certainly help me to dip my toe into the series and may make me consider even buying one of the previous games. I love portable RPG games so color me interested to say the least. 2 and 3 are both very good, and long, "light" rpg. 3 in particular. Don't know if I'll be interested in 4 though, it will need to be something very different. I love the Denpa Men series and I'm so excited to see the 4th game in the series coming to the West. Hopefully GS announces something soon. Ich habe alle 3 Teile gespielt und finde das sie diesen Teil raus bringen sollten ich bin mir sicher das der in America und in Europa sehr gut ankommen wird also los kündigt es bitte für America und Europa an.